The IMPROVE-IT Trial Treatment with statins reduces LDL cholesterol and lowers the risk of cardiovascular events. check out video. Welcome to the offices of Dr. Paul Wang and the staffs. We are committed to the health care and well-being of our community. 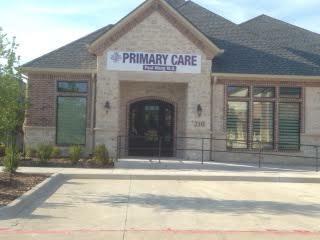 Our office is conveniently located beside Baylor Hospital of Frisco. We accept most insurance and Medicare plans. 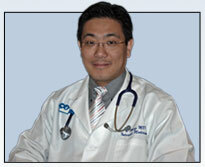 Dr. Paul Wang is a board certified internist, currently accepting new patients. Dr. Paul Wang has been practicing in Dallas area after completion of residency training in Internal Medicine at the University of Pittsburgh Medical Center from 2004. Initially he worked as hospitalist at the Texas Health Presbyterian Hospital of Plano. In 2009, he joined Dr. Hursey’s clinic in Frisco and continued after she moved back to home in South Carolina. In 2015, He expanded his clinic combining previous Alpha Primary Healthcare of Dr. Satodiya. His office was moved to newly built medical office just beside Baylor Hospital of Frisco to better serve his patients. Dr. Wang successfully passed recertification exam of Internal Medicine Board in 2014 and maintains a full privileges to take care of hospitalized patients at *Texas Health Presbyterian Hospital Plano, Baylor Carrollton, Baylor Frisco.